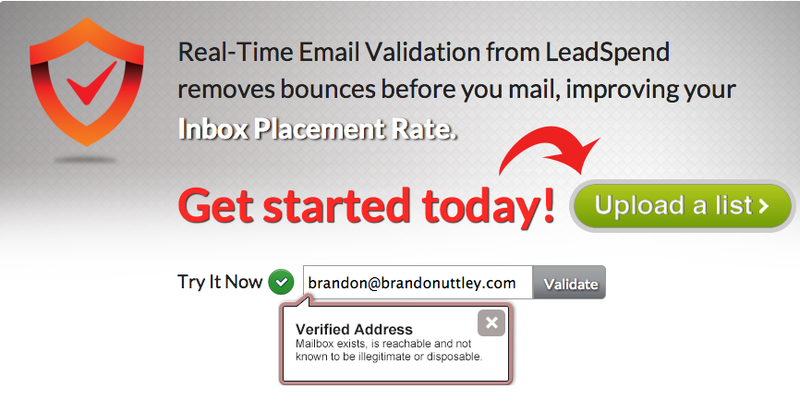 Find And Verify Email Addresses With LeadSpend | Brand On! Want to know if someone’s email address is valid? Head over to LeadSpend and check it there. I do this frequently to bypass having to try to connect with someone on LinkedIn first—just email ‘em directly! If you have a big list, you can upload it. The company claims a 97% match rate. Cost: Free to manually check addresses; bulk pricing for uploaded lists starting at $0.01 per email address.